Polymer clay in a stained wooden box. WARNING: You may proceed but only with a mind open to beauty and wonder. Leave all other possessions, baggage, and preconceived perceptions of reality at the door. WARNING: Exposure to extreme levels of inspiration can often produce varying responses including butterfly flutters, gut-wrenching emotion, shortness of breath, and boggling of mind. Proceed with caution. *I also accept gifts in exchange for my overall awesomesauceness and panache. For 15 years, it's been my pleasure to contribute to the fractal community here at DA. Some of you may remember my resources, tutorials, and administration work behind the scenes with the Apophysis group years ago. Now I'm entering a phase in my career where I'm focussed on exhibiting my traditional paintings and sculptures so lately when I create fractal art, it's more for my own entertainment and relaxation than for the enjoyment of others. I'll still share them here from time to time. If you happen to find fractal art in my gallery beautiful or symbolic, that's a bonus! If you like it, feel free to add it to your collection. I used to have time to thank everyone individually but now, I try to pass out llamas. Whatever the case, it's hard to express the gratitude and appreciation I have for all of you in the community who have taken the time to comment or befriend me. So I hope you understand, though I'm sincerely thankful, I do realize that time is short and precious for us all, and I would rather envision you spending your time here at dA looking through the FRACTALS of budding artists - they are doing amazing things! Please go out and encourage them with your kind words as you have treated me so kindly over the years. For this reason, I'm turning off comments for the fractals I share from here on out. Now go out and start spreading the fractal love around! Favorite visual artist MC Escher Tools of the Trade Everything I can get my hands on. Other Interests Software, technology, music and what have you. Thank you for the Llama badge, it's very much appreciated. Thank you so very much for the llama!!!!!!! Cheers! 2020 just around the corner. No, I created it in Chaotica, a fractal program. Hey ya great stuff here and on Tumblr, was wondering if you ever use ultra fractal? Thank you! 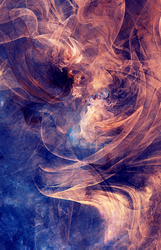 I have used Ultra Fractal in the past, but I prefer fractal flame/IFS apps like Apo and Chaotica.